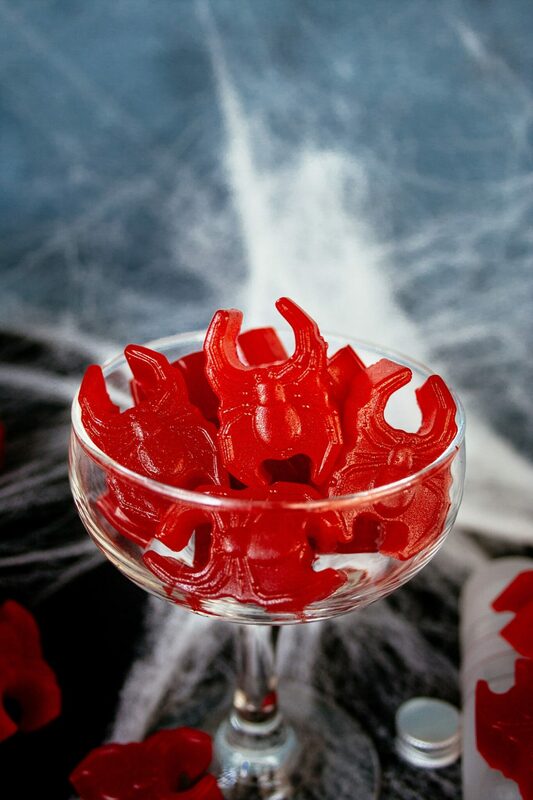 Recipe for vodka gummy candy that looks like spiders using Wilton Gummy Mix. 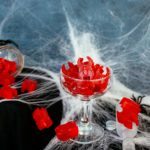 A fun adult Halloween treat that is easy to make and requires only 3 ingredients. 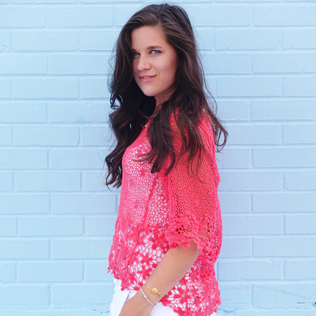 Recipe for ages 21+. 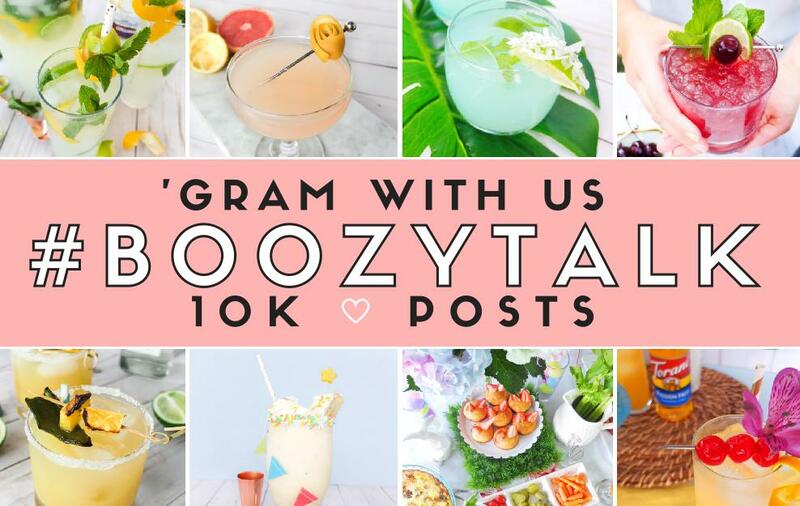 This post also contains affiliate links, please see our Site Policies for further information. I think Halloween is one of my favorite times of year to let the creativity flow. On the daily as a home bartender I feel a bit like a mad scientist so a holiday that celebrates the mad, is right up my ally. 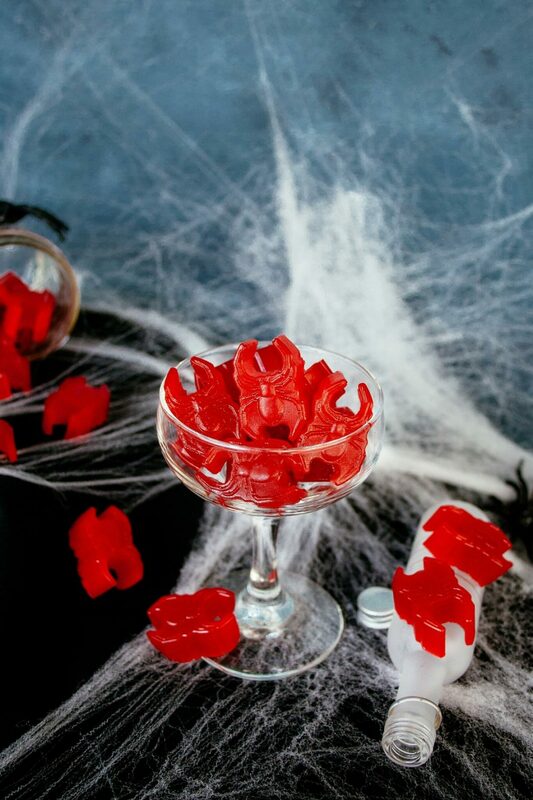 So to start boozing up Halloween, I whipped up some vodka infused gummy candies. They are going to be the perfect Halloween adult treat for your Halloween party. 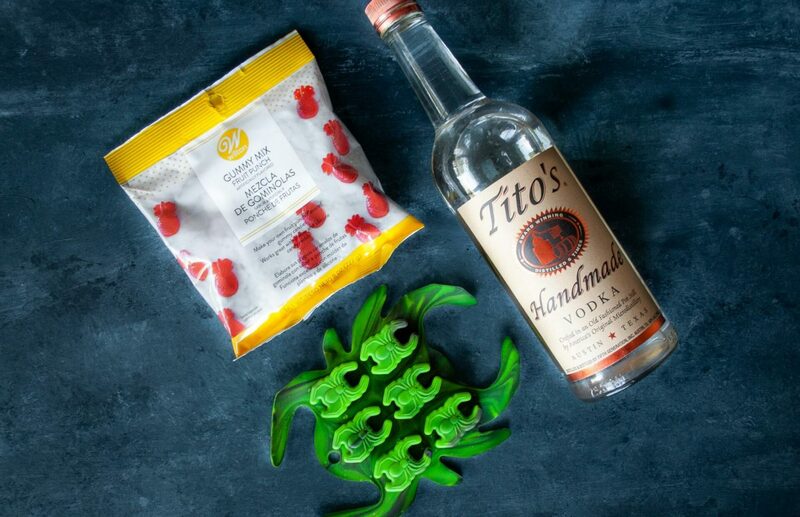 This is not a soaking recipe but you’ll use liquor in a gummy mixture to make your own candy. We’ve made gummy candy in the past and while it works, it’s a lot of work getting the gelatin texture right. So I was super excited when I found out that Wilton now makes a Gummy Mix. This stuff makes making gummy candy almost effortless. Since we will be making a boozy gummy, I have modified the instructions from the packaging. Instead of making the mixture in the microwave, we’ll be using stove top. Microwaving alcohol can create these dangerous vapors, so we’re opting for more control, safety, and less of a chance of cooking the vodka out. Start by greasing your molds with cooking spray. I prefer silicon molds, they make easier to remove the gummy candy. However, you can use plastic. I would also highly recommend getting enough molds to hold one bag of mix. One bag made 24 of these quarter sized gummies. While you can reheat the mixture if it sets, you’ll burn off more alcohol the more you have to heat it up to it’s pouring point. Into a saucepan mix together the package of gummy mix (I’m using Fruit Punch) and 1/3 cup + 1 tablespoon of vodka. Place the saucepan on a burner and turn it on to low heat. You’ll stir this continuously until you’ll see little bubbles form along the edge of liquid line. Once this happens turn off the burner and remove from heat to avoid burning off anymore alcohol. While the packaging says you want your mixture to foam, I’ve made these a handful of times and it’s not necessary to bring the mixture to a foaming point. Matter of fact the foam makes your first few gummies completely off in texture. From this point work quickly and fill each mold to the top. After that place your molds into the refrigerator and let set for 1-2 hours. When ready carefully pull your candies away from the mold walls and pop them out. Store in an air tight container in the refrigerator for 2 days. Which totally means you can make them the day before your Halloween party. When ready to serve put them out in a dish or little bags for guests. Grease your candy molds with cooking spray. In a saucepan combine together Vodka and Gummy Mix. Stirring generously. Add the saucepan to a stove top and put on low heat. Stir until the mixture dissolves into liquid form and at the first sign of bubbles around the edge of the mixture, remove the saucepan from heat. Carefully pour your mixture into your greased candy molds until you've filled them all up. Add your molds to the refrigerator for 1-2 hours or gummies have set. When set pop your gummies out of the candy molds. Add to an airtight container and keep refrigerated for 2 days. *Makes 24 quarter sized gummies. We do recommend having enough molds to hold one bag of gummy mix to avoid having to reheat the gummy mixture. How fun are these candies? These Fruit Punch flavored gummies hid the vodka taste incredibly well. Granted I’m a martini drinker so maybe I’m a little desensitized, ha. I love recipes like this that are super customizable. Don’t like spiders? You can use a skeleton mold or witch hats! Though these are giving me all the perfectly creepy black widow vibes. 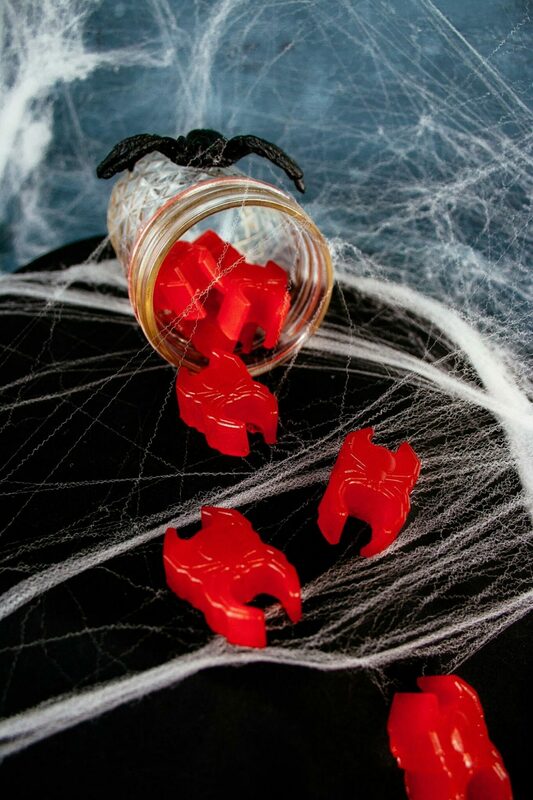 If you make these Boozy Gummy Spiders for Halloween, send a photo my way! Next week I’ll be looking to add to the witching hour with a cocktail you’re going to brew over. Any ideas what it could be? Until then, tell me all your Halloween party details down below!